The Dexter Womens Dani offers the comfort and durability that Dexter is known for. 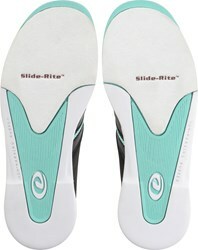 This shoe has universal slide sole technology and is value priced. LOVE my new Bowling shoes! It just takes some adjustment to get used to the slipperiness. It's getting better as we continue to "break them in". But they fit just right straight out of the box and they look great!! 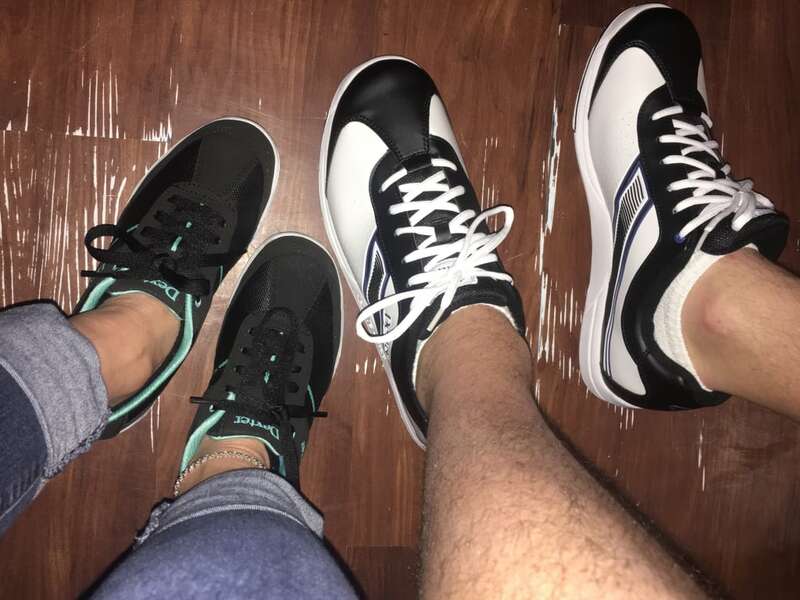 My boyfriend and I both got each other our bowling shoes for Christmas from Bowling.com and we really are pleased! Very comfortable. Ordered exact size, git perfectly. Very comfy like a regular gym shoes. will buy again! Just started bowling with league. this shoes is very comfortable. I bought a gliding powder and works really well. love it. will buy again. I am very pleased with my new Dexter Dani's. These are the most comfortable bowling shoes I have ever owned. The comfort and style are great. Just the right about of slide and I feel in control. Looks great, comfortable, and slides good. I love the color combination of black and teal. They felt comfortable the first time I put them on. Feels like a sneaker. This shoe is lightweight & very comfortable. The color is very rich looking & the turquiose trim is very pretty. The shoe does run just a little large. I usually wear an 8 normally but usually go for 81/2 in bowling shoes, but these are a little loose. I just use a thicker sock & they feel great. Tried the bowling shoes for the first time. Good fit! Had to return first pair because they weren't a good fit. No problem with return. Have not improved my bowling game, unfortunately! LOL! way to big in the heel even with two pair of socks.I usually wear 10 to 101/2 but they don"t have 1/2 sizes over 10 so had to order 11. they was good in the toe but slipped in the heel. cost $12 to send them back,restocking fee and packing fee only received have half my money back .will not order shoes online .don"t know why no one carry 1/2 sizes over a 10. I ordered these shoes not really knowing what to expect. But am totally delighted with my purchase. I ordered size 8 and they fit perfectly. I have a rather narrow foot, but while having ample room in the shoe, the heel was not too wide. I would definitely order these shoes if needed, and recommend them to anyone who wants a good shoe for a fair price. These are by far the most comfortable bowling shoes I've ever worn. They are probably the most comfortable shoe I've ever worn period. They should make this into a street shoe lol. Great price, great quality, and did I mention they were extremely comfortable? Look good and true to size. Okay but seem to run big. I bowl in multiple houses and got equipment for each house I bowl at (use a locker) so that's how/why I ordered new shoes. These shoes are made well and cute but seem for me to run a little big. I have 3 pairs of Dexter bowling shoes, all the same size and these ones doesn't fit as well as the other two do, they seem about a half size bigger. I saw a comment that they are slippery in another review and they are but I fixed that by taking a nail file to the bottom of them and that corrected it. Very very comfortable except to wide in heel area. I am sticking on the lane while bowling. Have to keep putting slide powder on the sole. Never had this problem with my other Dexter shoes. Hoping that once they break in I won't be sticking anymore. These shoes look nice colors are great but very uncomfortable. Shoe feels ridged not flexible. Shoestrings are really long have to double tie them and even then they come undone. Not enough support for ankles and top of the foot. I tried ordering these a couple of weeks ago and was told that they were out of stock, but your website says differently. Which is it? We currently have limited stock in all sizes. If you order today (3/5/2016) this shoe will ship out Monday (3/7/2016). But hurry before the stock we have sells out. This shoe is very popular! Should I order the same size shoe as I normally wear for everyday or 1/2 size larger? Some shoes I buy fit better if I buy wide size. From the feedback we have received, this shoe seems to run true to size. Unfortunately, this shoe does not come in a wide width. Are these a wide shoe or will they fit a narrow foot? Hello, unfortunately this shoe does not come in a wide. This will be a B width shoe. Hello! The feedback we have received, suggest the Dani fits True To Size. However, we do offer a True Fit Guarantee that you can purchase with the shoes to ensure you get the size you need quickly. Hello Donny! Unfortunately, the Dexter Dani's do not come in a wide width. How long does it take to get the shoes after you order them? Hey! If you order the shoes before 2pm central time, they will ship out that same day. If they are ordered after 2pm central time, they will ship the next day. Once they have been shipped, it normally takes 3-7 business days. The Dani is only sold in regular width at this time, thanks. 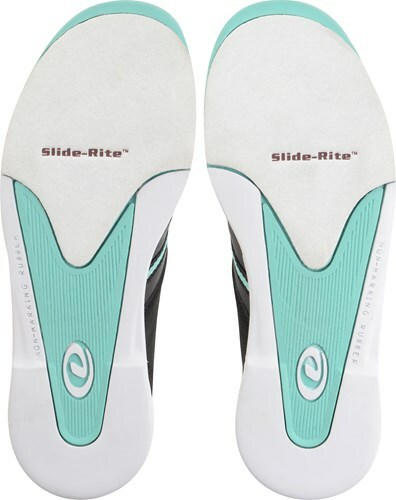 Would there be room to put a heel insole in for plaseites or would you a size up help because you don't have 1/2 sizes in a 10 but would 11 be to long. There should be enough room. Be sure to purchase the True Fit Guarantee with those in case you need to exchange them. What material is the top of the shoe made of? Hi. The top of the shoe will be a mesh material as well as suede. Hello Betty. The Danis will have some cushion on the inside. You can always use inserts for more cushion if it does not meet your needs. Can I take out the insoles and replace with my own? Yes, you can do that if the insoles are uncomfortable for you. Can I return this if it won't fit right? I wear wide shoes but ordering half size larger. I usually have 7.5 wide width. Is it okay to just take 7.5? These will be a standard B width and do not fit a wide width. You may want to try a size 8 or 8.5 if you wear a wide. Due to the time it takes to produce the Dexter Womens Dani ball it will ship in immediately. We cannot ship this ball outside the United States.